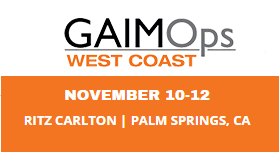 If you have not registered for GAIM USA there is still time. Click Here to register today. Next week we will be tweeting live from the event and will not have a blog post.